17. Можно я завтра к тебе приду? * Krez is a song that is used in rituals and has a magic meaning. 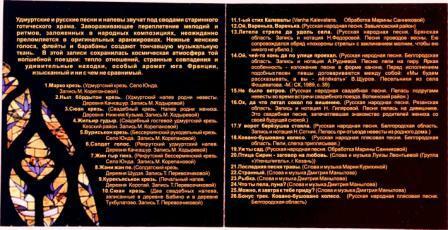 12 – карельская народная песня, 13 – бессермянский крезь, 14 –удмуртский крезь, 15 – старинный напев Калевалы,16 –белгородский напев. Слова: 2 – Марьям Смирнова, 9 –Зинаида Сарсадских, 10 – Блек. 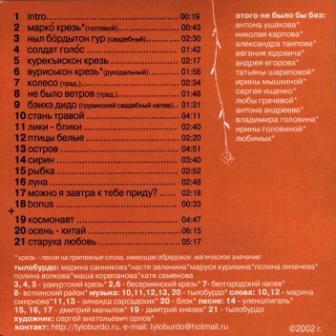 Песня: 4 – Doors (Jim Morrison), 5 – Beatles (Lennon, McCartney), 6, 7, 8 – Дмитрий Манылов, 3,11 – Тылобурдо. Тылобурдо – Марина Санникова, Мария Курихина, Ольга Мальцева, Юлия Рябова, Мария Пискунова, Анна Камашева. Огромное спасибо организаторам –Ларисе Сохиной и центру семейного оздоровления г. Тольятти, Ирине Геллер и всем нашим друзьям. 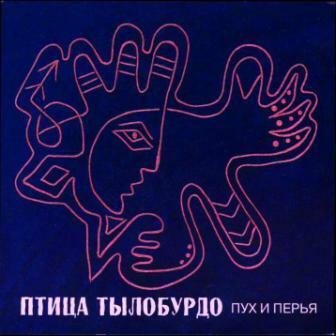 Music: 4 – The Doors (Jim Morrison), 5 – The Beatles (Lennon/McCartney), 6, 7, 8 – Dmitry Manylov, 3, 11 – Tyloburdo. The new album by Tyloburdo is called “Vremevod”. 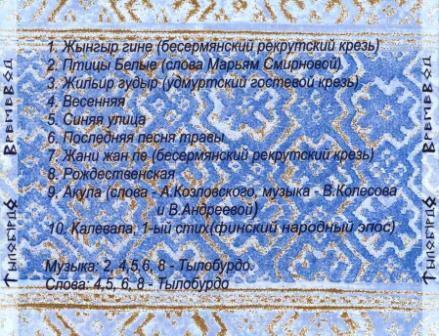 It is an integral record that consists of folk and author songs, united by the idea of beauty, purity and feminity. 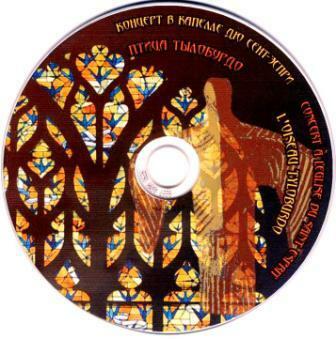 Udmurt krezs, Finnish epos (first verse of Kalevala), the sound of jew's-harp and dulcimer emphasize Finno-Ugric aura of the album. A graceful play with sound, a combination of modern electric and exotic instruments and rich woman's polyphony vocals make a listener plunge into magic and tender world of Tyloburdo music. Запись концерта в капелле EGLISE DU SAINT ESPRIT города Экс-ан-Прованс. Храм построен в XVIII веке, архитектором Лоран Валон). 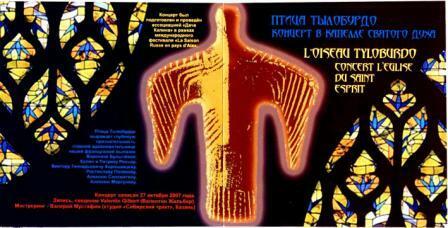 Концерт записан 27 октября 2007 года. Запись, сведение Valentin Gilbert (Валентин Жильбер). 13.Летела стрела да удоль села. Русская народная песня. Брянская область. Запись и нотация Н. Федоровой. Песня проводов весны. Ею сопровождался обряд «похороны стрелы» с заклинанием молнии, чтобы ею никого не убило. 15.Не было ветров. Русская народная свадебная песня. Пелась подругами невесты во время встречи свадебного поезда. Воткинский район. 16. Ох, да что летал сокол по вишению. Русская народная песня. Рязанская область. Запись и нотация Н. Гиляровой. Песня пелась на девичнике. Это свадебная песня, запечатлевшая знакомство родителей жениха с будущей снохой. 17. У ворот берёзушка стояла. Русская народная песня. Белгородская область. Запись и нотация Н. Сотник. Пелась при отъезде невесты из родного дома. 18.Ковано - бушовано колесо. Русская народная плясовая песня. Белгородская область. Пели, слегка приплясывая. 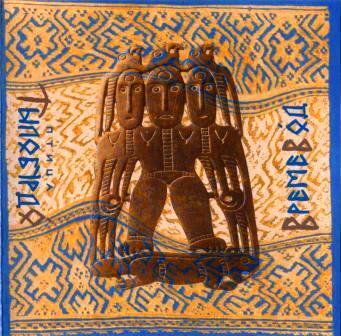 26.Бонус трек. Ковано - бушовано колесо. Русская народная плясовая песня. Белгородская область. Tyloburdo Bird at EGLISE DU SAINT ESPRIT. Recording of the concert at EGLISE DU SAINT ESPRIT chapel in Aix-en-Provence. (The chapel was built in XVIII century by the architect Laurent Vallon). The record was made on October, 27 2007. Recording, mixing by Valentin Gilbert. 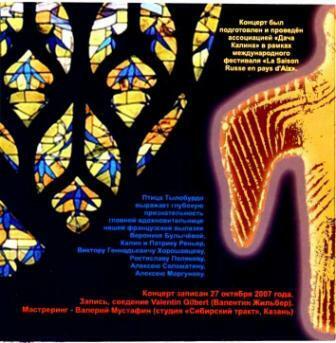 Udmurt chants («krej’») and Russian chants are performed under the dome of an ancient gothic cathedral. 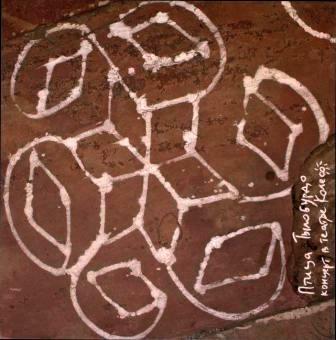 The feature of this record is a surprisingly minimalist sound of Tyloburdo Bird. Tender female voices, flutes and drums create an exquisite musical tapestry. This unveils a delicate and charming entwinement of folk melodies and rhythms that receive an unexpected and interesting interpretation in the musicians’ original arrangements. 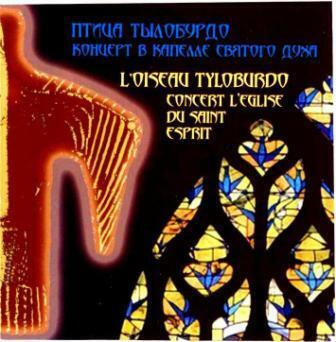 This recording keeps the atmosphere of dialogue and cosmic transfusion of that tour: European lightness and museful depth of Udmurt folk songs (krej’), strange coincidences and wonderful discoveries, warm relations and local colour of southern France that can’t be found anywhere else. The concert was arranged and held by the «Datcha Kalina» association as a part of «La Saison Russe en pays d’Aix» international festival. Tyloburdo Bird is deeply grateful to those who made this event possible: the main encourager of our French trip, Veronika Bulycheva, as well as Marie Jacqueline and Patrick Reynier, Victor Horoshavtsev, Rostislav Polyakov, Aleksey Solomatin and Aleksei Morgunov. 13. Letela strela da udol’ sela (Once an arrow flew along the village). Russian folk song. Bryansk Oblast. Record and notation by N. Fedorova. This song is a farewell to spring. It was sung after the rite “burying an arrow” when they asked the lightning not to kill anybody. 14. Оi, chei-to kon’ da po ulitse proehal (Someone’s horse rode in the street). Russian folk song. Belgorod Oblast. 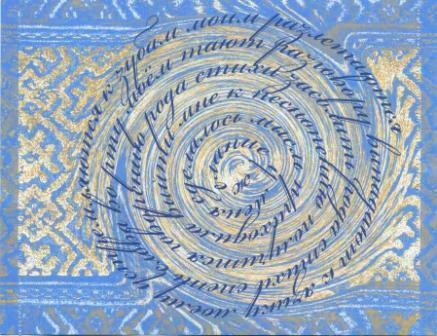 Record and notation by А. Rudneva. It was sung at the feasts. The feature of the song is its canon structure. 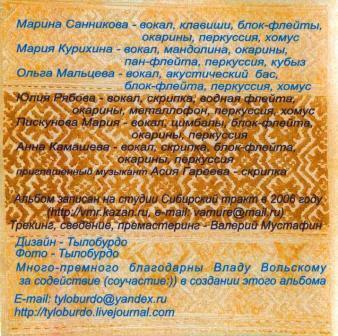 Before singing such songs, according to folklorist Vyacheslav Shchurov, singers share parts between them: «We will narrate, and you will hum “lioli part”». 15. Oi ne bylo vetrov (There were no winds). Russian wedding folk song. It was sung by bridesmaids when meeting a wedding procession. Votkinsky district. 16. Oh, da chto letal sokol po visheniyu (Once a falcon soared in the sky). Russian folk song. Ryazan Oblast. Record and notation by N. Gilyarova. It was sung at a bachelorette party. It is a wedding song about groom’s parents meeting their future daughter-in-law. 17. U vorot beriozushka stoyala (There stood a birch by the gates). Russian folk song. Belgorod Oblast. 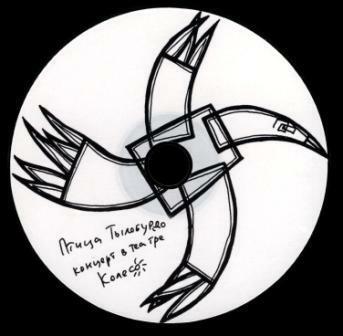 Record and notation by N. Sotnik. It was performed when a bride was leaving her home. 18. Koleso (Wheel). Russian folk dance song. Belgorod Oblast. Singers performed it slightly dancing. 26. Bonus track. Wheel. Russian folk dance song. Belgorod Oblast. 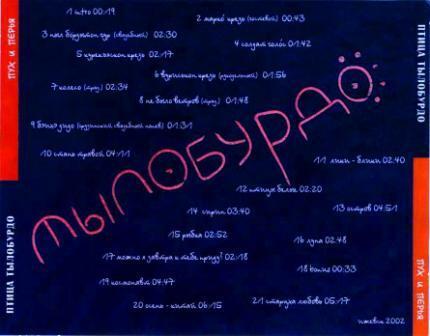 Выпущен тираж нового альбома "Золото Елены"(2010-11). Это отчасти саундтрек к документальному фильму режиссёра Иосифа Пастернака "Les secrets le Tresor dе Priam" ("Секреты клада царя Приама"). Концепция альбома - путешествие с севера на юг, из современного российского города в Древнюю Грецию. Взаимопроникновение различных эпох и реальностей. Пульс современной жизни замедляется, но, возможно, сегодня это вполне актуально.